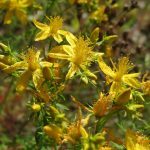 St. John’s Wort is a very popular, yellow-flowered plant which has been long been used to treat a variety of illnesses. More recently, it’s been put forward as a possible solution for depressive symptoms. The herb is generally used in liquid or tablet form, but the dried version can also be made into a tea. Recent scientific evidence suggests that it may be just as effective as antidepressants in treating depression, with far fewer side effects. Fish oil is full of omega-3 fatty acids, which are said to be vital for healthy brain functioning and are readily found in cold-water fish. They specifically help the brain by facilitating the efficient and speedy transmission of brain signals. In 2015, a study was conducted which strongly highlighted the proposed use of a fish oil supplement as an effective tool to use against severe depression. It was shown to have a robust antidepressant impact, positively impacting serum levels in the brain. The full name for this supplement is 5-hydroxytryptophan and it’s a popular amino acid. Depression has been widely linked with lower levels of serotonin. 5-HTP is said to be a natural upper of serotonin levels in the brain. When the supplement is taken, 5-HTP is converted into serotonin, instead of just blocking the uptake of the neurotransmitter as many antidepressants do. The scientific research examining the relationship between the two is wholly positive, with many studies reporting that it’s dramatically effective for treating depression, and does so very rapidly. The science behind the research seems to be relatively unclear about why Vitamin D helps to combat depressive symptoms, but there seems to be a definite influence nonetheless. Numerous studies have been conducted that show a strong link between lowered levels of Vitamin D and depression – and other research has indicated that its use as a supplement may be as efficient as antidepressants. Zinc is said to be a micronutrient that’s essential for a variety of different reasons – including cell growth and metabolism. It also has a stringent link to depression, with an individual’s zinc levels seemingly inversely proportional to depressive symptoms. Depleted amounts of zinc in your body seem to be a salient indicator of depression, as outlined by research. In addition, the supplementation and increasing of zinc in your diet may be a positive and natural way to fight depression. Short for S-adenosylmethionine, SAM-e focuses on mood-boosting by improving the synthesis of a variety of neurotransmitters. In a study that reviewed numerous different nutritional supplements for the treatment of depression, SAM-e was found to be one of the safest and most effective. Magnesium is often described as one of the most essential minerals in the human body. It’s connected with brain biochemistry and the fluidity of neural activity. Magnesium deficiency has been linked to a variety of different types of depression, and much research has touted it as a highly useful treatment.